photo by Frank De Blase Michael O'Leary, with Milestones' manager Heather Gillen: O'Leary's getting out of the live-music business. As of December 18, Milestones, the longstanding downtown live-music club at 170 East Avenue, will be operating under a new owner: local musician and club manager Joe Gizzie. Michael O'Leary has run the club for 13 years. But, he says, it was time for a change. "I've known for a while that Milestones needs a new energy," O'Leary said last week. "I just haven't been focused on providing that energy. Every once in a while, it's time to move on. It needs a facelift and it needs a new energy, and that's what Joe has in mind." Gizzie has been general manager at a number of Rochester night spots, including Barfly, Karma, Tonic, and Pearl, but none of these places featured live entertainment regularly. Gizzie also fronts the band The Back Porch Poets. "Honestly, I'm a huge, huge, huge music fan," Gizzie says. "I absolutely love hearing original music." Gizzie will eventually rename the club High Fidelity, but he plans to keep Milestones' live-music format. This was important for O'Leary, who says he wanted to make sure Milestones wound up in the right hands. O'Leary, who bought the club in early 1994, brought in national talent and showcased local music. And it became a staple in a fickle nightlife market and in a neighborhood that, at the time, wasn't vibrant. 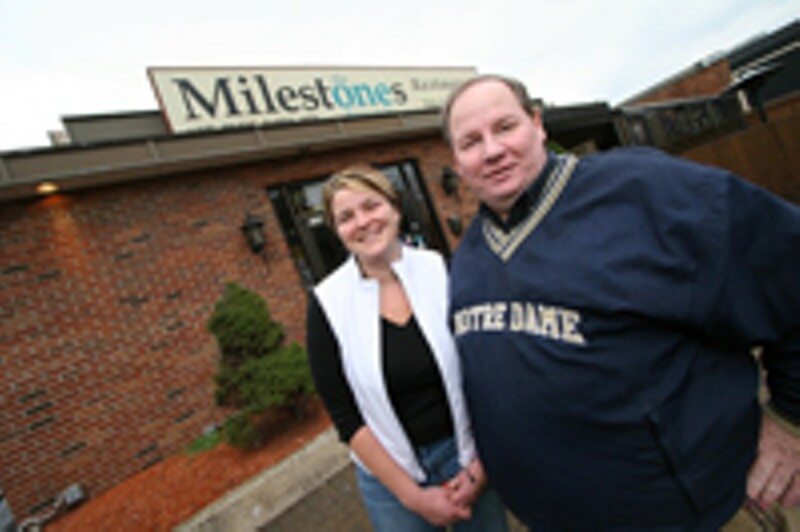 Originally located at 50 East Avenue, Milestones was forced to move in 1995 to make way for the new Appellate Court building. At the time, County Executive Jack Doyle assured the public that the influx of lawyers would revitalize the neighborhood. "That was a tough and ugly time," O'Leary says. But he withstood that adversity and the ups and downs associated with running a live-music venue. "Having a club, especially a live-music club, for 13 years is a little bit of a feat, I think," he says. Milestones introduced acts like Duncan Sheik, Ani DiFranco, Asylum Street Spankers, and Southern Culture on the Skids to Rochester. Big-name nationals mounted the Milestones bandstand as well, including ex-J. Geils front man Peter Wolf, whose incendiary show in 1995 will go down as one of O'Leary's favs. The legends stopped by, too: Bo Diddley was O'Leary's first big show. "That was pretty exciting," he says. "He was a character, to say the least." But Milestones' real championing was of local artists. Countless Rochester bands (this writer's, included) honed their chops and built their fan base at Milestones. If O'Leary had time to book a swan-song gig, he says, it would star two long-gone hometown acts. "If I could put a dream show together as my last show, it'd be Koo Koo Boy and Big Roots," he says. O'Leary says he has enjoyed watching the area boom. "I think seeing the East End evolve from what it was 15 years ago --- not the greatest of neighborhoods --- to now, where it's a neighborhood that can sell $600,000 condominiums: that's a pretty big change, and I'm glad to have been a part of that." But O'Leary isn't out. He plans to open a new place nearby: the Temple Bar and Grille, at 109 East Avenue, formerly the Eastman Lounge. You'll have to get your groove on to the Temple's jukebox, though. "As part of my agreement, I won't be doing any live music," he says. "I'll still be doing festivals and live events. I'll still be part of the East End committee. I wanna make sure the East End Festivals continue. I'll still be doing Party in the Park and other events for the city." Milestones will continue to operate under its old name until Gizzie finishes renovations, which will include a new, bigger bar, new sound, and an improved stage. He'll unveil the spot as High Fidelity in early February.